Eva D. Mitchell, 88, of Wabash, passed away at 7:28 a.m. on Sunday, October 7, 2018 at Autumn Ridge in Wabash. 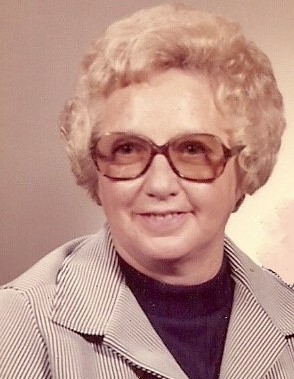 She was born on December 23, 1929 to the late Jimmy and Rosie (Mitchell) Helton in Lebanon, Virginia. Eva married Carl J. Mitchell on January 27, 1951. Carl passed away on April 30, 2016. Eva worked as a homemaker taking care of her family. Eva is survived by son, Alfred L. “Al” (Debra) Mitchell of Wabash; daughters, Mrs. George “Kevin” (Helen) Jolly of Wabash, Jane A. Poole of Denver, Colorado, and Diana F. Fahl of Warsaw, Indiana; brother, Dean (Sandy) Helton, Polo, Illinois; sisters, Edna Ferguson, Lebanon, Virginia, Betty Cumbow, Kingsport, Tennessee, Jean (David) Bain, Marion, Indiana; 16 grandchildren, and 15 great-grandchildren and two great-great-granchildren. She is proceeded in death by two daughters, Frieda Carol Barkema, and Magarette Evelyn Vancamp; three sisters and three brothers. Funeral service will be held at 11:00 a.m. on Thursday, October 11, 2018 at McDonald Funeral Home, 231 Falls Ave, Wabash, IN 46992, with Pastors Josh Fennell and JP Freeman officiating. Burial will follow at the Gardens of Memory Cemetery in Marion, Indiana. Visitation for family and friends will be from 4:00 p.m. until 8:00 p.m. on Wednesday, October 10, 2018 at the funeral home.